Marshall C. Bishop, M.D. is a physician performing Family Practice with Obstetrics and is currently accepting new patients. He works at the Wagner Medical Clinic in Shiner, Texas, at E. Wolters Street (just across the street from the Library). 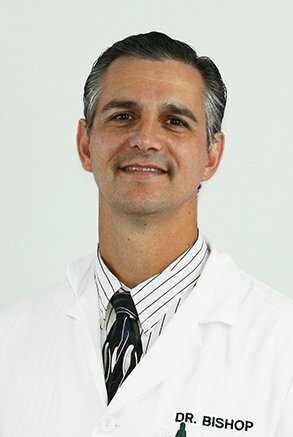 Dr. Bishop is a member of multiple professional organizations including the AAFP and is secretary/treasurer of the local chapter of the Texas Medical Association. He has been certified in Advance Cardiac Life Support for Adults, Pediatrics, Neonates, as well as specific training in Obstetrics, and enjoys having pregnant mothers constitute a significant portion of his family practice clinic. He is competent to perform multiple diagnostics in the clinic including Nasolaryoscopy, flexible sigmoidoscopy, colposcopy, dermatologic excisions, casting and many others. Dr. Bishop has worked on several medical mission projects in Ensenada and Sabinas, Mexico as well as Mt. Hagen, Papua New Guinea. Aside from his professional interests, Marshall has personal interests in playing sports, music, gardening and writing [but don’t ask him to write a song about playing sports in the garden]. Marshall has a deep commitment to his family and his Christian heritage. He teaches Sunday School at First Baptist Church of Yoakum, Texas. Marshall and his wife, Amy, have three children: Autumn Leif, Bechtel Clinton, and Canaan Nicholas.